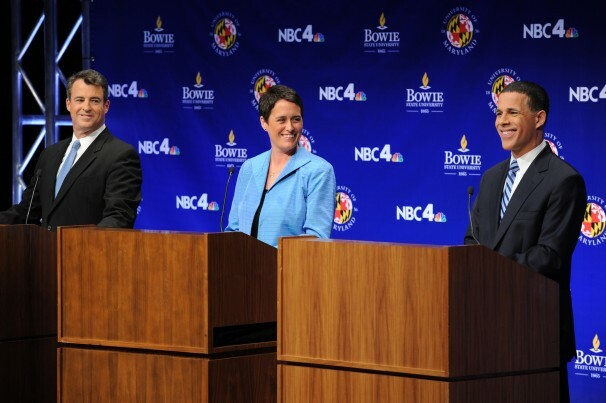 Photo above: Doug Gansler, Heather Mizeur and Anthony Brown in their May 7 TV debate. Democrat Del. Heather Mizeur caused quite a stir among supporters of Anthony Brown Wednesday when she wrote an op-ed for the Sun urging the 104,000 Democrats who voted for her for governor not to write in her name on the general election ballot, but to support Anthony Brown. What upset Brown supporters was not that message, but the lengthy criticism she heaped on Brown and his campaign.